Catalonia was thrust into the headlines last week amid a tumultuous attempted referendum regarding independence from Spain. For centuries, the sliver of land on the Mediterranean, once under Moorish control and now home to 7.5 million people, has alternated between independent republic, French protectorate, and Spanish region. Anchored by its capital, Barcelona, Catalonia has developed its own distinct language and culture. Let’s start off with the madrigal, Ya Tocan los Atabales, by Joan Brudieu. Beginning in 1548, Brudieu was choir master at Seu d’Urgell Cathedral in northern Catalonia. I think there is a measure of historical revisionism at work here to re-label some of the principal exponents of the musical movement known as Spanish Nationalism as somehow Catalonian. 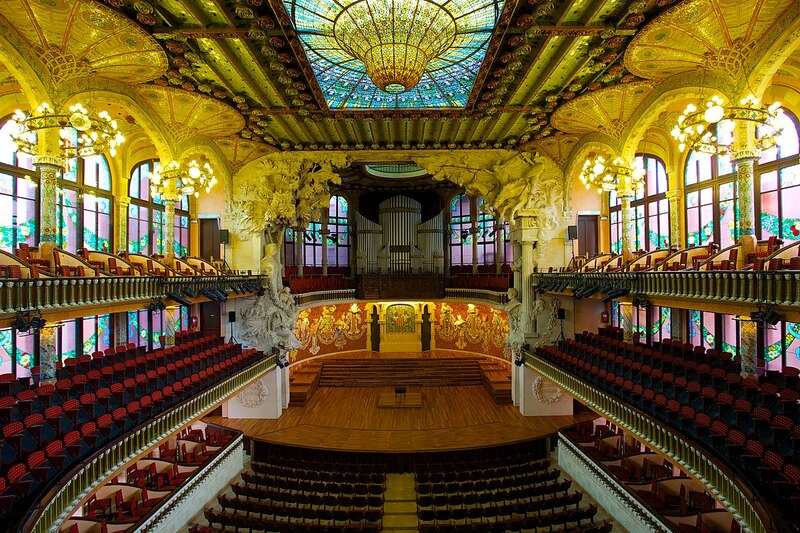 Composers such as Albeniz and Granados were certainly born in Catalonia but they were Spanish as can bee seen in their musical influences from across Spain. One should take care in narrowing such cultural influences. For context consider that while Aaron Copland was undeniably born in Brooklyn, NY you would be more likely to call him an American composer than a New Yorker.